Koersel is situated north-east of Leuven off the N719. 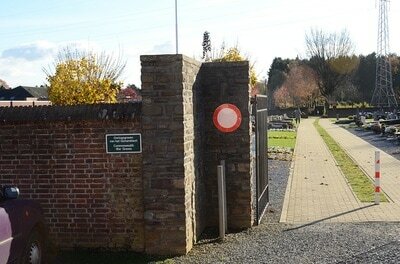 From the E314 motorway turn off at the junction of the N72 and follow the N72 in the direction of Beringen. 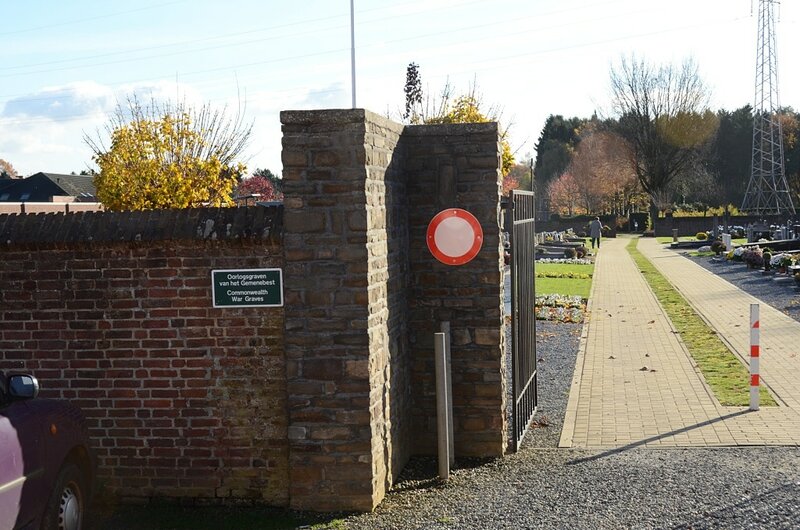 At the junction of the N72 and N719, turn right onto the N719 in the direction of Heusden. At the crossroads in Heusden turn left into Koerselsebaan in the direction of Koersel. On entering Koersel the road name changes to Pieter Vanhoudstraat. 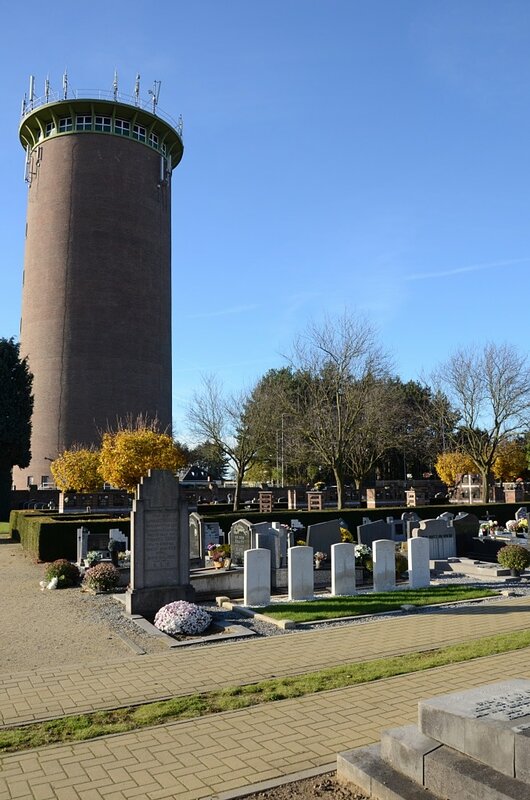 The cemetery is located down a small lane on the left, next to a 'Frituur' and opposite the 'Doowhat' cafe. 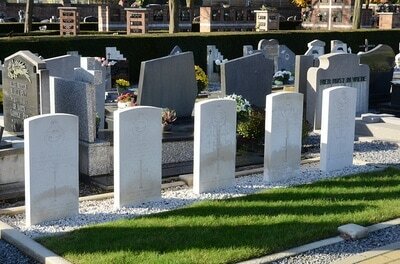 Koersel Communal Cemetery contains the graves of five airmen of the Second World War. 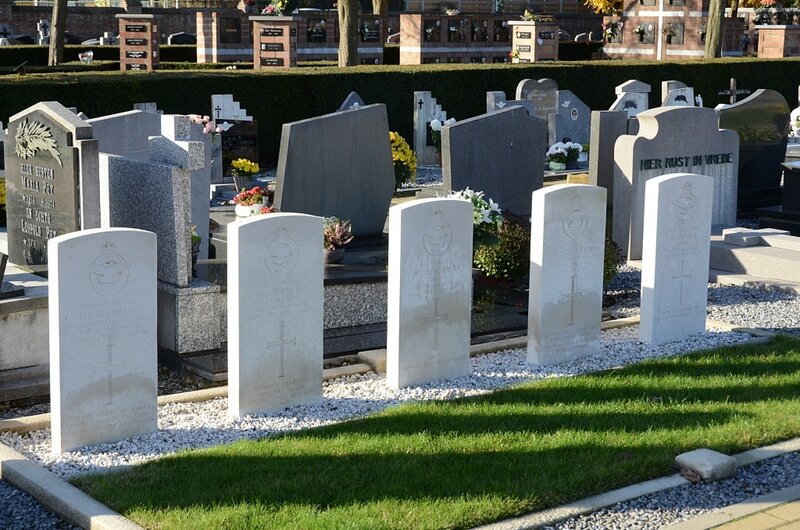 1150773 Sergeant Douglas Bernard Beverley, Wireless Operator/Air Gunner in 10 Squadron, Royal Air Force Volunteer Reserve, died 26th July 1941, aged 19. Son of Bernard J.A.Beverley and of Mary Beverley, of Ilford, Essex. 68738 Pilot Officer Harry Joseph Daniels, Navigator in 10 Squadron, Royal Air Force, died 26th July 1941, aged 27. Son of Joseph and Caroline Annie Daniels, of Coventry. Solicitor. Commended for Gallantry. 535558 Sergeant Cyril Webster Fitzmaurice D. E. Lawson, Wireless Operator/Air Gunner in 10 Squadron, Royal Air Force, died 26th July 1941. 9229723 Sergeant Wilfred Puttick, Pilot in 10 Squadron, Royal Air Force Volunteer Reserve, died 26th July 1941, aged 27. Son of John and Mabel Puttick, of Ewell, Epsom, Surrey. 87666 Pilot Officer William McNaughton Spiers (Mentioned in Despatches), Pilot in 10 Squadron, Royal Air Force, died 26th July 1941, aged 24. Son of William McNaughton Spiers, and of Agnes Spiers, of Leicester.